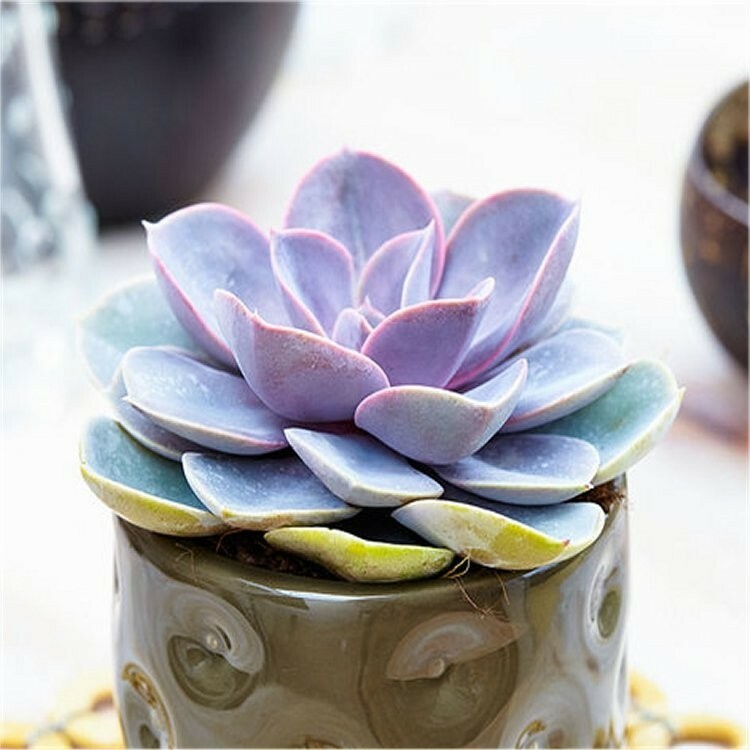 This Echeveria is a wonderfully decorative, easy to care for, evergreen succulent for your home. Each plant has fleshy ghostly coloured leaves growing as a rosette, often flushed with a red hue. Each rosettes will expand up to 15cm wide, developing the beautiful purple sheen which grows in intensity in brighter light. 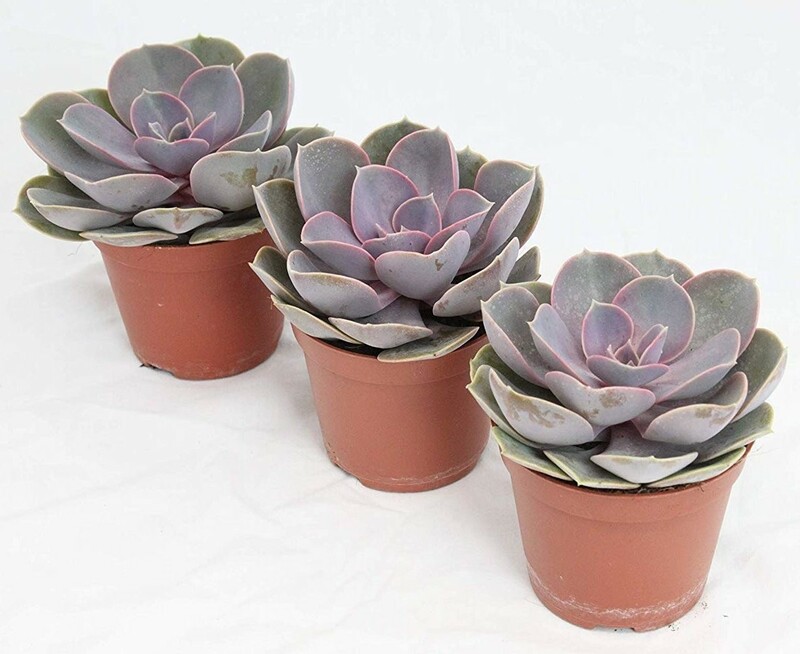 Echeveria are grown for this lovely foliage, but this interesting plant can also produce spike of orange-red flowers. Making an excellent potted plant for the home, they can also be planted outside for an unusual feature in the summer months. Supplied in approx 1lt containers, complete with a contemporary white coloured pot cover - simply position and enjoy.